This isn't just going to be a pre-loaded app, but will be part of the Cyanogen OS dialer. You'll be able to opt in or out when you start using the device. If you decide to use Truecaller, it will look up numbers as they come in (in less than a second, allegedly) and tell you who's calling even if they're not in your contacts. Additionally, Truecaller will tell you if a number has been reported by other users as spam and let you do the same. The Truecaller integration will go out to devices as an OS update in the next few months. 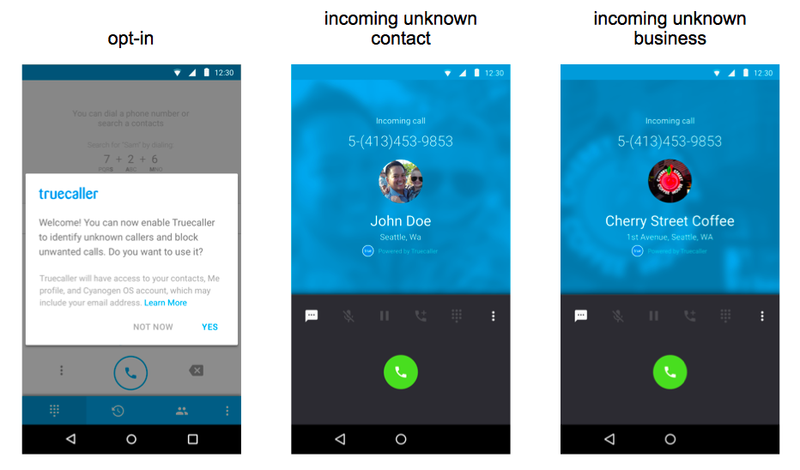 Future Cyanogen OS phones will also ship with Truecaller.